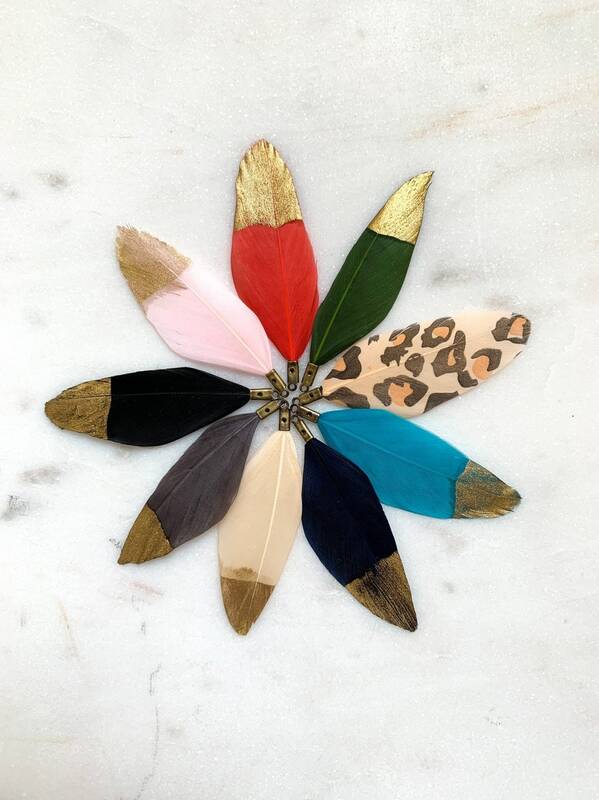 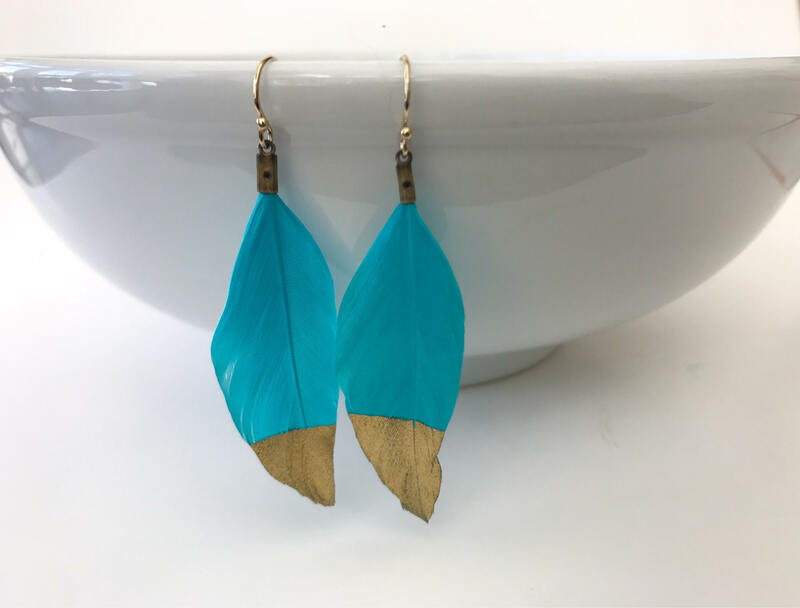 Boho Feather Earrings- Many colors available! 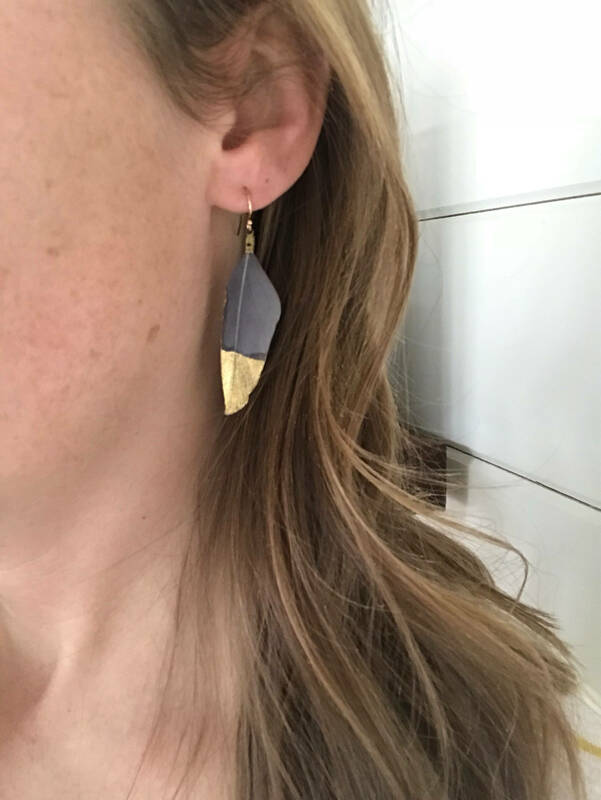 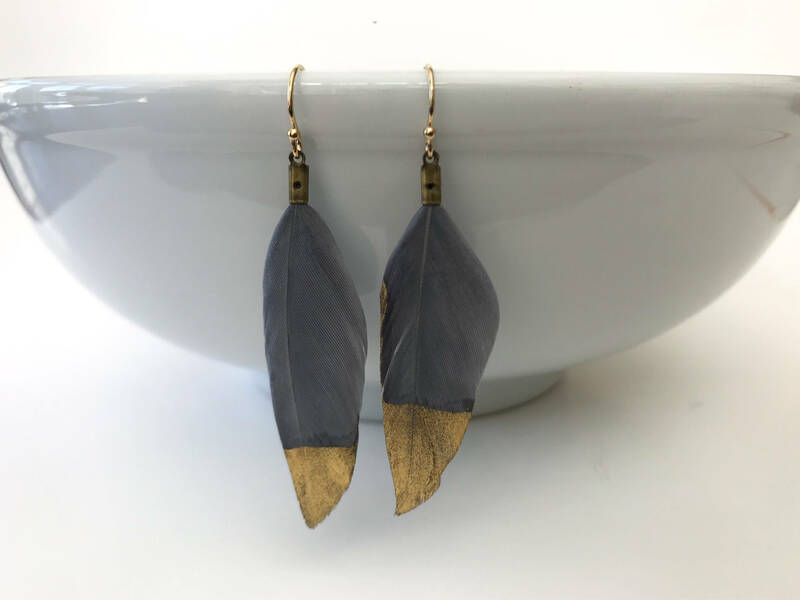 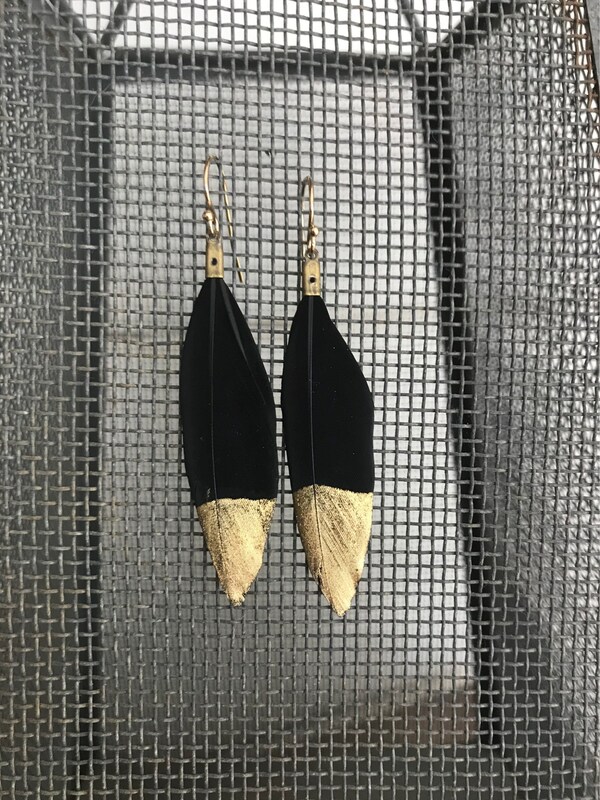 These gold dipped authentic duck feather earrings give a boho vibe to any outfit. 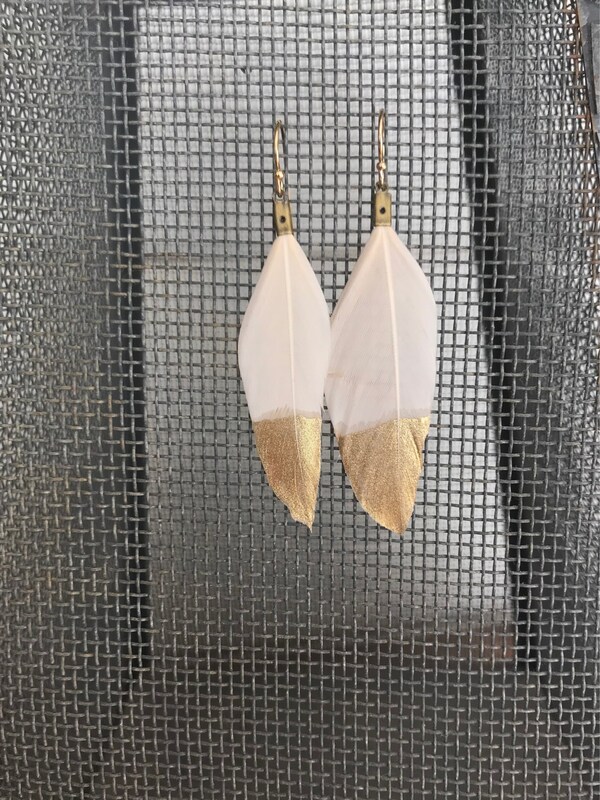 Attached to am antiqued gold ear wire. 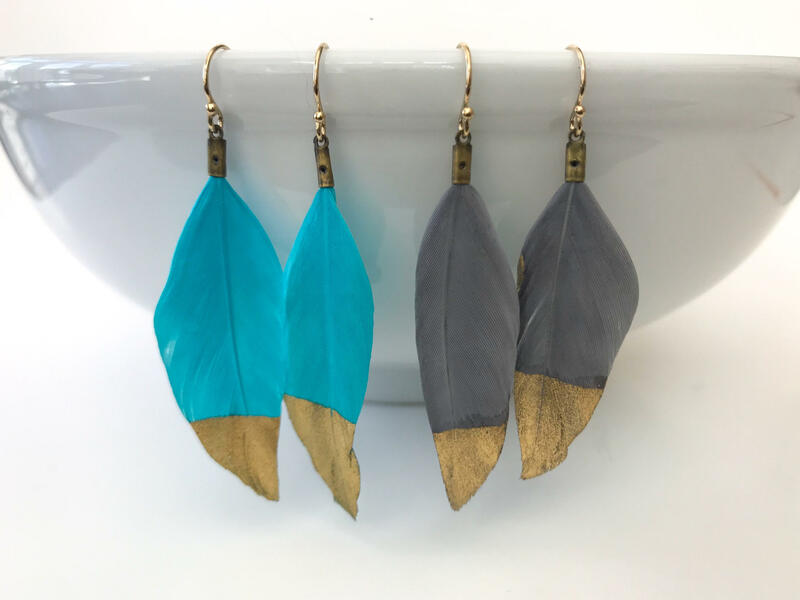 Comes in multiple colors!